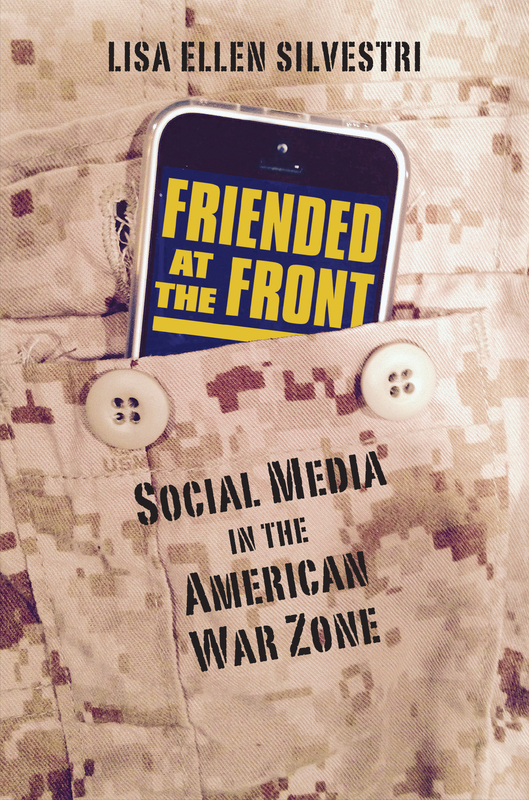 Q: What inspired you to research social media’s role in the American war zone? A: My brother was on his first deployment in Iraq while I was in graduate school studying communication. At the time, he and I mostly wrote letters back and forth. But I began paying closer attention to advancements in digital communication technologies, especially when the infamous Abu Ghraib photos emerged. At the time, it seemed like new communication technologies (MySpace, YouTube, Facebook) were becoming available at the same time we were becoming increasingly entrenched in Iraq and Afghanistan. So I was personally and academically invested in keeping a close eye on both of these “fronts.” I wondered how all this connection would change what it’s like to be at war. Q: What were you most surprised to learn? A: I learned a lot so this question could easily become very long-winded. So I’ll just share the earliest surprise, which was that no one writes letters any more. The war letter, which was once a staple genre of letter writing, is now an endangered, if not extinct, artifact. Almost all the men and women I talked to said they carried their iPhones in their pockets, just like the rest of us. How will this change the archival aspect of these wars? Q: Do you believe social media enhances the lives of those protecting our country abroad, or did you find that it contributed to depression or homesickness? A: That’s the question, isn’t it? To an extent we are all probably wondering if social media is enhancing or diminishing our lives. For troops in a war zone, the stakes are raised on these types of issues—fear of missing out (FOMO), being distracted, feeling lonely and bored. We can all relate to these social anxieties. But I would say, on the whole, after talking with the men and women fighting our wars, I’m most worried about the broad emotional spectrum they are forced to occupy; Thinking about OPSEC and mission safety on one hand and about how their kids got in a fight at school on the other. In previous generations, our troops were more “protected” from home front concerns. This is a big change. I wonder how it will affect things like PTSD or the homecoming process more generally. Q: What are some of the most common ways social media is used within the American military warscape? A: In interviews, most personnel said they used social media to “keep up to date.” This can include more intimate information like knowing what your wife had for dinner last night as well as getting a broader idea of what the latest stateside pop culture craze might be. A: One of my chief goals as a writer, teacher and citizen is to cultivate empathy. My hope is that readers will come away having meaningfully related to the men and women fighting these wars. And out of that empathy, maybe they will start to question America’s ongoing relationship with war.